A two-hour standoff at a Trader Joe's in Silver Lake forced dozens of families to flee or hide on Saturday afternoon. Before the gunman surrendered on live television, a store employee had been shot and killed. Police arrested Gene Evins Atkins, 28, on suspicion of murder. According to authorities, police had chased Atkins to the area after he allegedly shot his grandmother multiple times and wounded and kidnapped another woman. The events shook the community and raised concerns for the youngest witnesses. Parents are asking how they can help. First, ask yourself: Are you ready? It's important for parents to work through their own feelings with another trusted adult before talking to their children, said Dr. Melissa Brymer, director of terrorism and disaster programs at the UCLA-Duke National Center for Child Traumatic Stress. That said: Don't wait too long. It's like the oxygen mask on an airplane, said Dr. David Schonfeld, help yourself before helping others. "Yes. 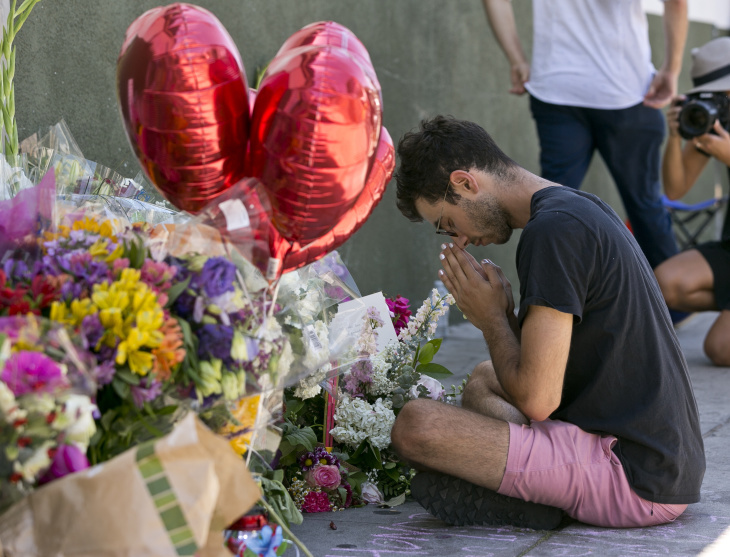 You start with the adults, but you've got to get it on the kids pretty quickly," said Schonfeld, a pediatrician and director of the USC National Center for School Crisis and Bereavement. If your child was in the middle of the melee, having a conversation is more urgent. "It's important to have an honest conversation about what happened. And most importantly what's being done to help them to feel safe, and to reiterate that they're safe now," Brymer said. "It's important that we as adults initiate the conversation, so that they know that it's okay to talk about," she said. For some kids, this will require multiple conversations on the topic. "I would start by asking them what they've already heard, what they understand about that, and what they feel about it," Schonfeld said. He explains that kids pick up on their parents reaction to what's happening on the news and in the community, and they often know more than adults suspect they do. "One of the common reactions I see in parents is they keep trying to tell their children that they shouldn't feel worried, but the reality is they are worried," Schonfeld said. "You have to allow them to own those feelings, because it's real for them." He recommends instead that parents talk to kids about how to cope with their worries. Brymer says that people in communities touched by violence can help each other. 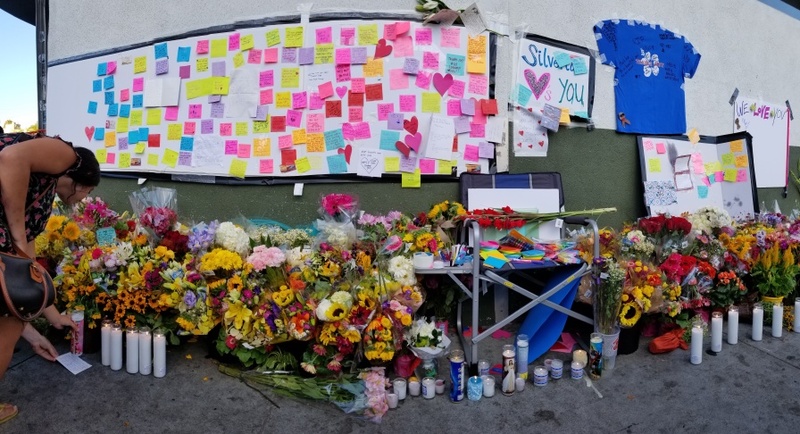 She was at the Silver Lake Independent Jewish Community Center on Sunday. That's where more than a hundred people gathered to talk about the standoff and how it affected them. Brymer remembers what one father told his teenage son to help comfort him, "We've gone to the grocery store many, many times together, and we'll go many times together again, but it doesn't mean that a grocery store is now a dangerous place." Liz Schwandt, preschool director at the SIJCC, said she immediately worried about the families she works with when she heard the news. The standoff happened at the neighborhood store where she says she runs into four or five of those families whenever she shops. The gathering she help to organize the day after helped her to cope, too. "As stunned as I was by the horrific event, I was equally as gratified by how well everyone took care of each other," said Schwandt. Schonfeld recommends that kids who witness violence be evaluated by a behavioral health specialist. Brymer warns not to underestimate the stress associated with being put on lock-down and having to hide. Brymer says parents shouldn't assume that just because a child has experienced a traumatic event that they are destined to have Post-Traumatic Stress Disorder. With parental support, many kids will do well despite the situation. If your child's behavior, sleep, or eating habits change for a prolonged period of time, Brymer and Schonfeld both recommend consulting a mental health professional. Consider talking to their school counselor or pediatrician. News happens every day. Here at LAist, our goal is to cover the stories that matter to you and the community you live in. Now that we're part of KPCC, those stories (including this one you're on right now!) are made possible by generous people like you. Independent, local journalism isn't cheap, but with your support we can keep delivering it. Donate now.